Traditions There are	6 products. Discover ancestral traditions full good-humored. 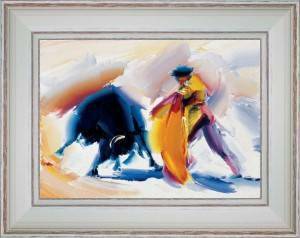 The bullfighting is also a part of this decoration and these inescapable customs. The followers shall find here some paintings of bullfights which inhale well the earth of arenas and calls back the sweatiness of these moment hot on stone terraces flooded with the Southern fervour. In memories of the incomparable atmosphere of unforgettable Féria. 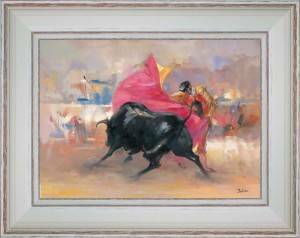 In a cloud of dust crossed by the light the torero faces firmly the bull who enters the arena. "The passes of cape, bigger and more colored than the muleta, are realized during the first one thirdly to gauge the bull." 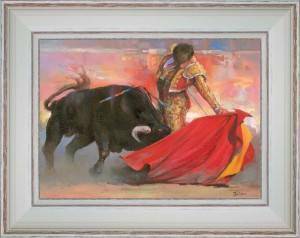 The sand of the hard-packed surface, lifted by the bull and the matador, colors the arena of a blazing red. "In the course of master passes, in a hot atmosphere, the bullfight gathers the spectators and the actors in an exciting anxiety." 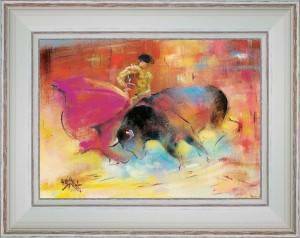 Yellow and pink dress, matched cape the matador tests the bull during the first one thirdly in the still dumb arena. "In the entry of the bull the public keeps silent. 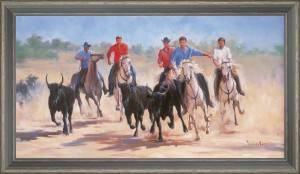 Only the noise of hoofs, the breath of the animal and the rustle of the cape tear the felted atmosphere." 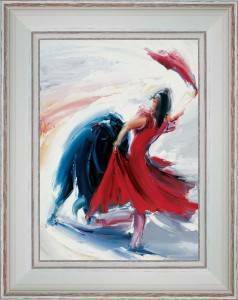 Woman torero dressed in a red skirt making with elegance a pass of muleta in front of bull lowered head. "Present in the arena for the 17th century, the women managed little by little to make it accepted in bullfights, on foot or by horse. What panache !!"